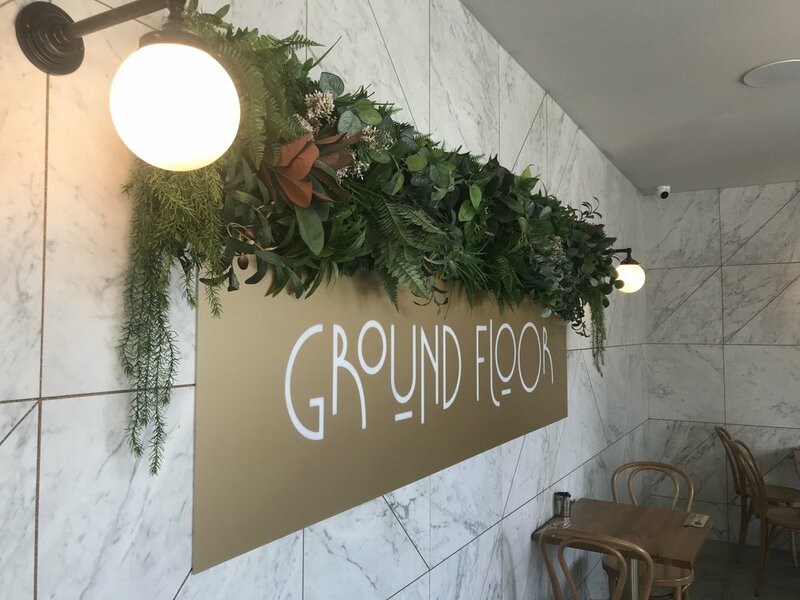 Tucked away behind the Memorial School of Arts on Liverpool’s bustling Macquarie Street is new-kid-on-the-block, Ground Floor Cafe. 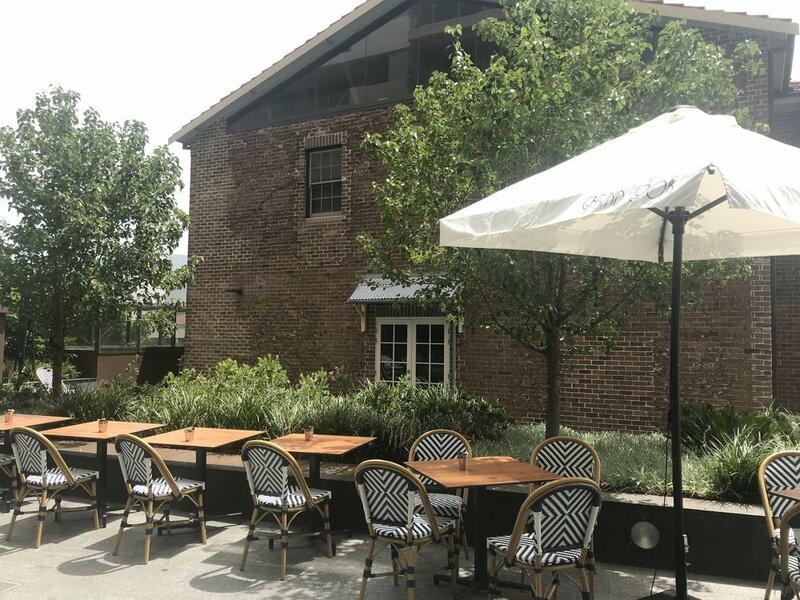 This brand new addition to The Spot Group’s collection of venues offers an open terrace flooded with sunlight, and no detail has been missed in the sleek interior space. It was the perfect spot for brunch on a sunny Saturday morning. We decided to leave our brunch selection with cafe owner Max and his team who certainly did not disappoint. 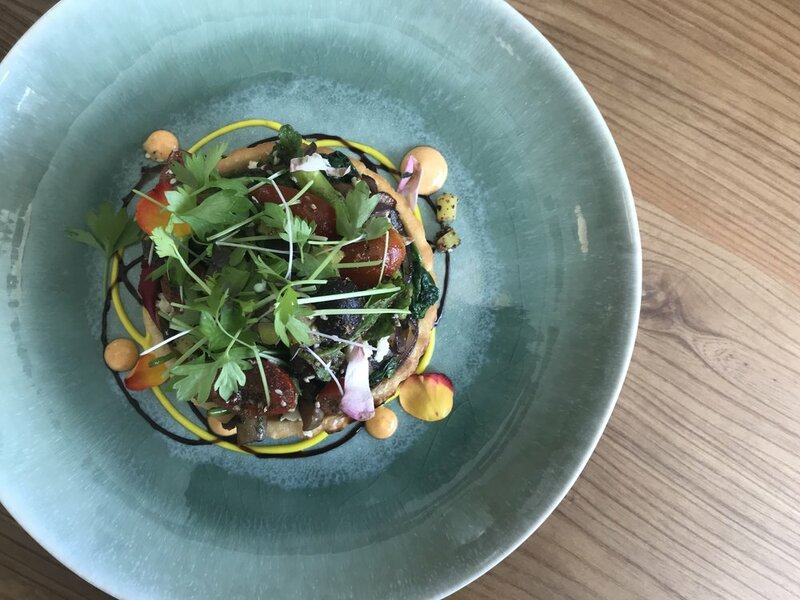 We were served the Ground Floor Tart which was shortcrust pastry filled with the most delicious medley of mushrooms, heirloom tomatoes, olives, asparagus and feta cheese. Just when we thought the tart couldn’t get an better, we tasted the aromatic truffle oil. 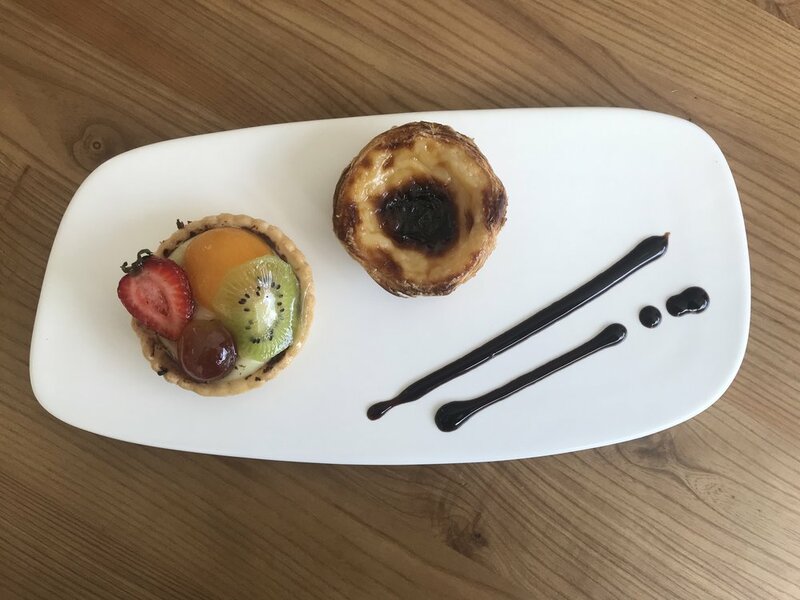 The tart was vibrant, flavour-filled and almost too pretty to eat. The Cauliflower and Beetroot was another beautifully presented dish. 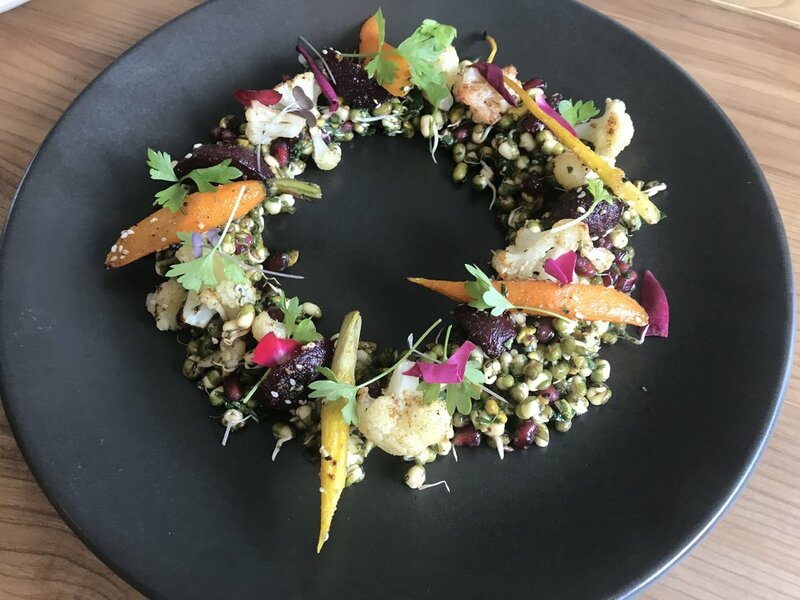 This salad featured spiced cauliflower, baby beets, germinated mung beans and roasted dutch carrots tossed in a tart lemon olive oil dressing. The salad was topped with a perfect blend of sweet pomegranate and salty pistachios, as well as fresh herbs. 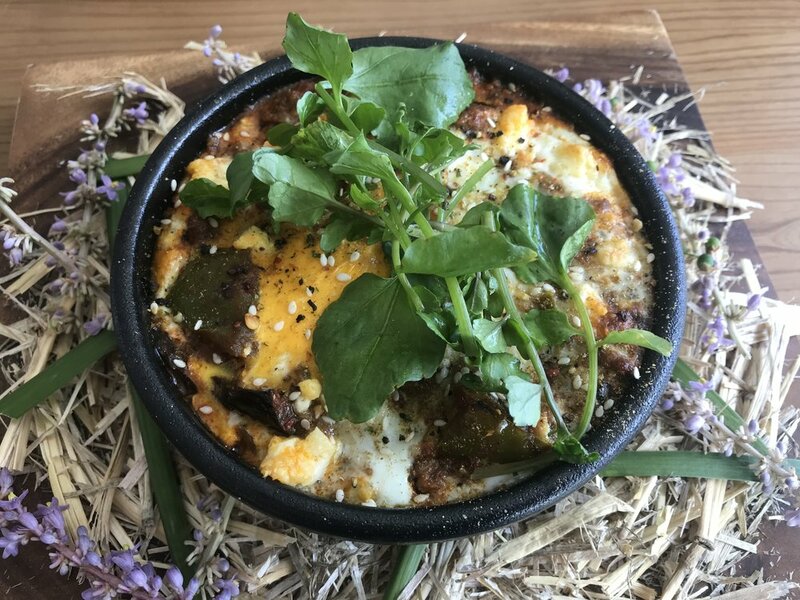 We also tried the Persian Breakfast which was a rich spiced mince, eggplant and capsicum ragu topped with eggs and baked in cast iron. 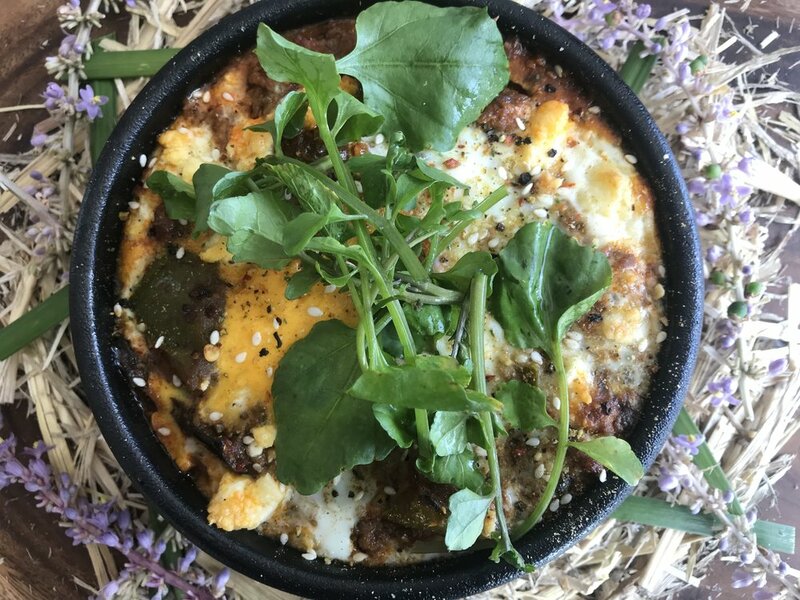 This dish was the perfect combination of simple, fresh ingredients and the most divine blend of warm Middle Eastern spices. 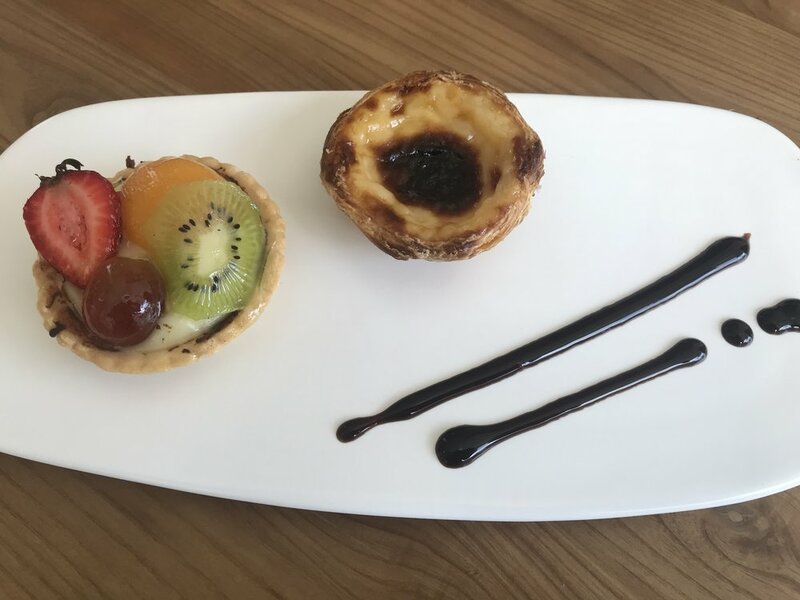 We finished off our meal with fresh roasted coffee and some mini sweet treats - a fruit tart and a Portuguese tart. Delicious! 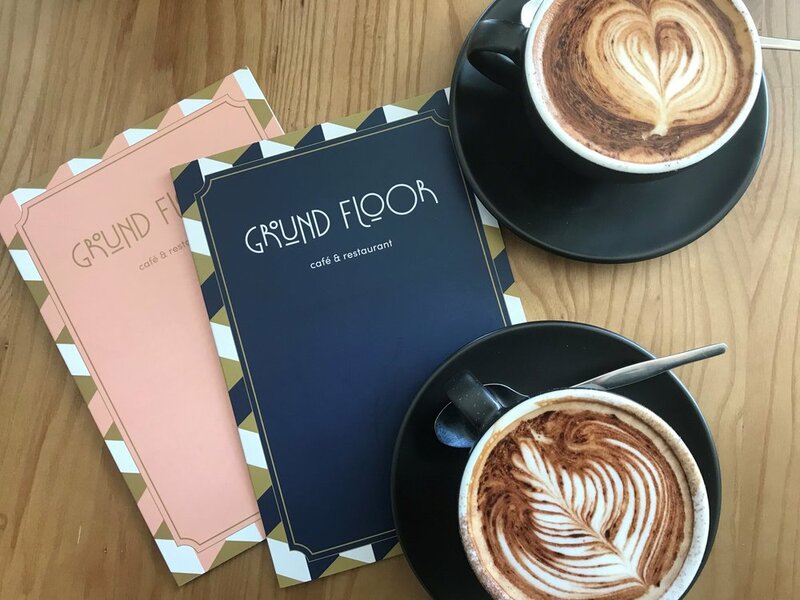 The Two Contessa’s dined as guests of Ground Floor Café. 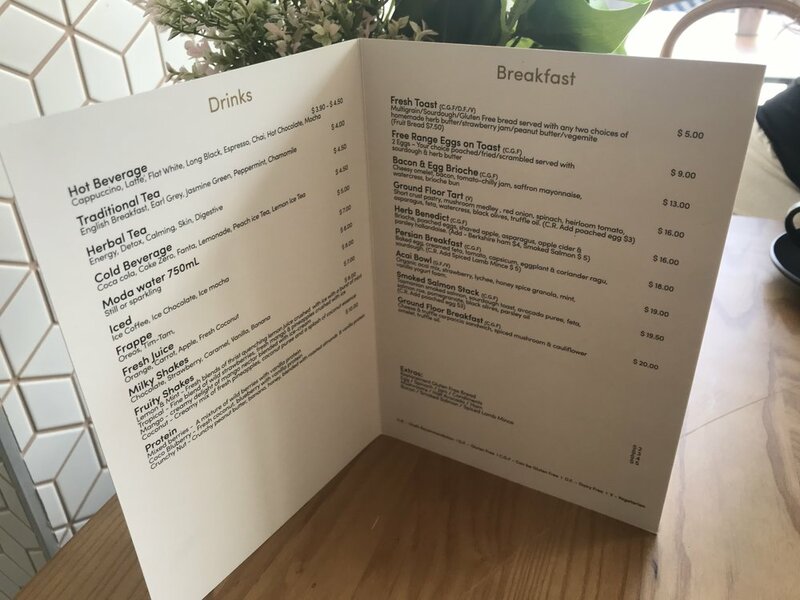 A big thank you to Max and the whole Ground Floor Café team for their warm hospitality and this divine culinary experience.